There might just be something to that old saying...how does it go? Ah, yes, If you want something done right, you have to do it yourself! Just ask Australian wholesaler Festival Clothing. Festival Clothing is taking control of producing their own beach and festival wear in Australia - and having great success doing so. Read on for more about their company development, and how TradeGecko has helped them along the way. 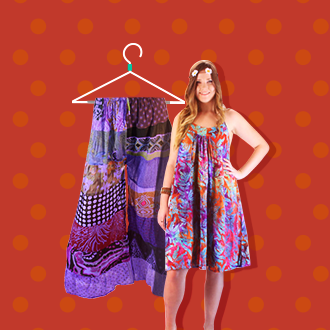 Festival Clothing began as a retailer and wholesaler back in 1984; selling sarongs, scarves, dresses, shirts and other garments in the very niche market of hippie/beach wear clothing. If you were looking for something to wear to a festival or on your next holiday, Festival Clothing was (and still is) an excellent go-to source. After a few years retailing and wholesaling, the challenges of retail began to get to the husband and wife team - Deb Watts and Brett Hobdell. Weary from the demands of having to be open seven days a week, and on peak holidays like Christmas, they began looking for a new business model. Also, with such niche products, they faced challenges finding clothing in the right sizes and at the right price to keep up with demand. So, eight years ago, Festival Clothing began to fill what they identified as a big gap in the market. They opened one factory in Indonesia, another in India, and Festival Clothing became a B2B wholesaler. Whether selling retail or wholesale, Festival Clothing has always been motivated by a few key values other than simply selling clothing. A main goal of the wholesaling business was always about supporting and promoting smaller boutiques in the retail business across Australia. They work cooperatively with these retailers, rather than in competition with them, ensuring fair prices. They are also proud of the fact that they create jobs in the developing countries where their factories and mills are located. Festival clothing is all about child-free labor environments, non-toxic dyes and ensuring workers have good and safe, working conditions. Festival Clothing manages and sells around 2000 SKUs. They sell wholesale through their website and have three wholesale agents around Australia. Most of their retailers sell either through physical shops, websites or on eBay and social media. Their retail customers have boutique shops catering to festival and holiday go-ers around the country. Along with warehousing in Indonesia and India, they have built a warehouse at their own home, which has helped significantly in curbing overhead costs. Along with regular orders, they do some portion of their business through backorders. Festival Clothing has full control over three manufacturing labels, that are continuously producing. Because of that control, they allow their customers to backorder and usually promise a two to four week turnaround for these backorders. One thing about this niche market - styles don’t change too much, they just need new fabrics, prints or colors. Demand for their clothes isn’t really affected by the seasons, and they don’t need to have a winter or summer collection. Festival and beach wear is very different from high fashion, but it’s one that suits them just fine. "We’re not high fashion, so we have some fashion items that I have been selling for twenty years, and I am still selling them well. Our niche market is very different to high fashion. We have over 2000 inventory items, and that number is growing." comments Deb. Festival Clothing managed their accounting function on MYOB. But as the business began to grow, they had to decide between upgrading to MYOB Enterprise or switch to an entirely new system. The previous solution did not address the inventory management woes that a growing business faces. With an increasing inventory, their old system was also getting slower and slower, causing them to have to wait hours for a sale to save - a big problem when you’re paying that salesperson just to wait. Seeing that operations had outgrown existing software, Deb began to look for a better solution. Festival Clothing chose Xero to manage their accounting and when looking for an add-on, came across TradeGecko. Deb was especially drawn to the fluidity that TradeGecko offered. She’s pretty tech savvy, so she wanted to be able to upload everything, build and customize her own system and get the support that she needed from TradeGecko along the way - to save on external implementation costs. And now, with TradeGecko up and running, what’s the outcome? A great ROI in the form of time saved. Because Deb was very hands-on in the setup process with TradeGecko support, she was able to set it up exactly how she wanted it. And because of that understanding, she now feels like she can pull up any number of reports she might want - resulting in major time savings every day. One feature that really saves time is the reporting. Deb says she can pull up any number of reports: bestsellers, stock on hand, stock committed, top 10 customers, etc. and immediately make smart decisions based on that data. Particularly when coordinating between multiple warehouses, consignment shops and backorders, these reports make data accessible, easy to read and quick to analyze. Backorders used to take several hours, now with TradeGecko’s backordering feature, she can create a purchase order within 5 minutes and move on to the next one. 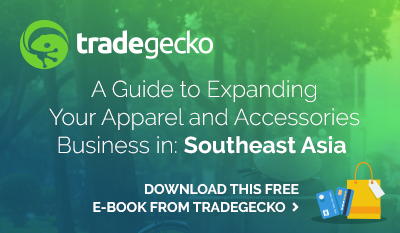 As a wholesale business, Festival Clothing has found the TradeGecko B2B eCommerce platform to be seriously beneficial to future growth. Particularly, Deb loves that she can customize her online B2B store and that stock levels are updated in real time - eliminating the problem of selling what’s already sold. Festival Clothing wants to expand within Australia, but internationally as well. They hope to grow their factory, allowing them to produce more stock and open a showroom in the warehouse on their property. Their plan focuses on getting some more wholesale agents, then targeting areas where there is high tourist volume - this includes anywhere there’s a beach, and someone sitting in the sand, enjoying the view. Festival Clothing is a classic example of taking something, doing it well and making it their own. 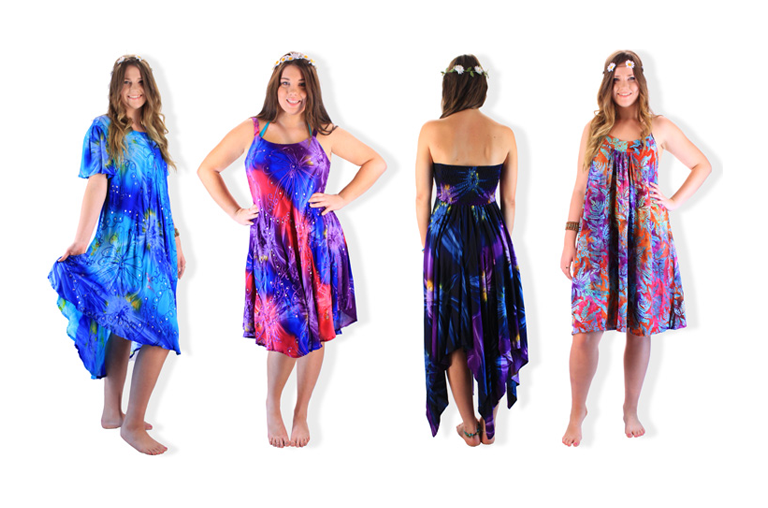 They’re taking the demand for free-spirited hippie chic and beachwear fashions and turning it into a formidable wholesale business. So next time you’re on a beach somewhere with a cold one in one hand, chances are good that a piece from Festival Clothing’s latest collection will have you covered, literally. Check out more on Festival Clothing's website.